Kudou Shinichi is gaining fame as a detective, but when he tries to catch a crime syndicate in the middle of a blackmail, he's hit over the head and fed poison. The poison doesn't kill him as expected though, it shrinks his body to that of a first grader. 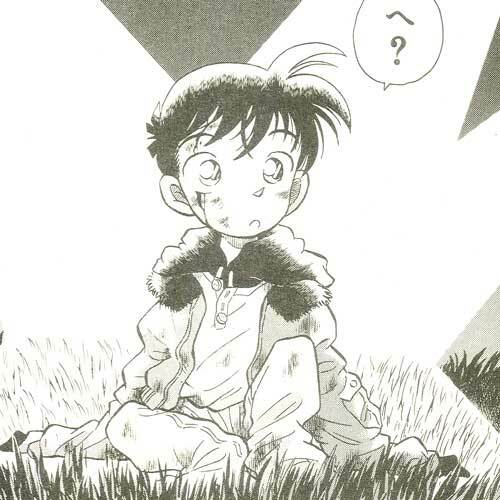 Taking the name Edogawa Conan, Shinichi moves in with his unsuspecting childhood friend, Ran, and her Dad while trying to get back to normal. 1. Heisei is the name of the current emperor of Japan, and thus the name of the current era (since 1989). 2. The Cafe below the Mouri Detective Agency is named, ポアロ, or "Poirot". 3. Professor Agasa eats at a restaurant named コロンボ, or "Columbo". 4. Among Shinichi's dad's book collection is a volume of Magic Kaito.